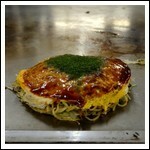 Food is a highlight all on itself in Japan. Japanese food is so much more than the sushi and sashimi it is famous for. Back in Holland, a sushi meal always counts as a treat as raw fish does not come cheap so having good sushi without breaking our budget was great. 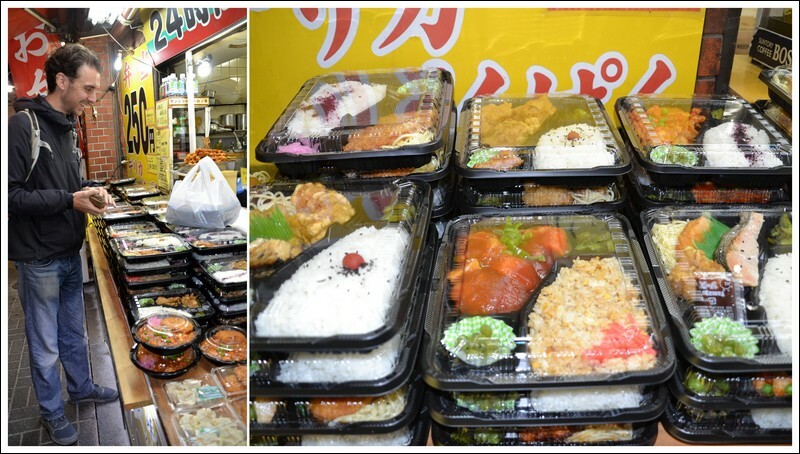 Food in Japan is extremely fresh and meals including sushi, sashimi but also yakitori’s and tempuras are prepared fresh every morning and throughout the day in shops, supermarkets and take away places. We were given the tip to wait till around 7 pm when all fresh meals gets discounted half price! We happily waited until the shop employees walk around with stickers slashing down the price. Some stores start at 20% off whilst other start right at 50% off. Seeing how locals hover around stores at this time of the day shows that this is a good deal as if it is good enough for the locals, then it is good enough for us. 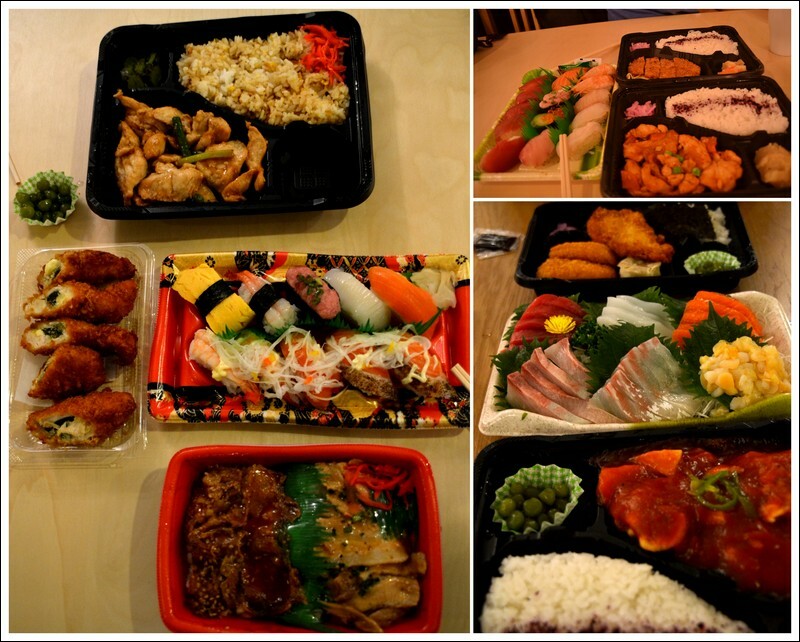 Another great cheap way to have a good meal are the bento boxes. In Asakusa, Tokyo where we stayed, there even was a bento shop (Paku Paku) with all bento boxes costing only 250 yen ($2.50). Store bought bentos are usually around 500 yen ($5) and they are always very filling with rice, fish or chicken, Japanese pickles and condiments. 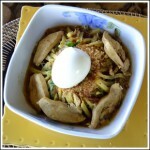 Ramen is another fun and delicious way to fill up. In some restaurant, you order by sitting down and checking out the menu, however, many cheap ramen places have machines by the front door where you make a choice, pay, receive your order slip which you hand over to the ramen cooks and minutes later you can enjoy a great bowl of ramen which usually costs around 750 yen ($7.50). 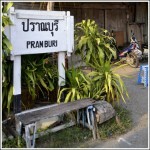 It’s a fun place to eat while surrounded by locals happily slurping up their noodles. It is said that slurping shows just how good the ramen is. 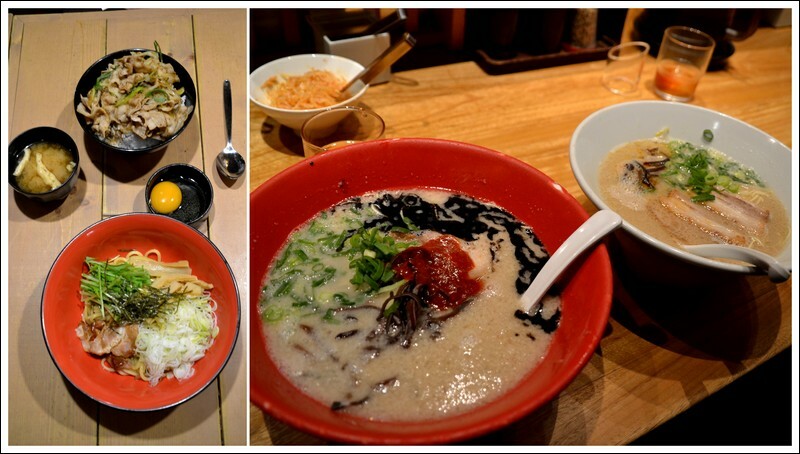 One of our favorite ramen restaurant is the Ippudo chain found throughout Japan. To slurp or not to slurp…. The convenience stores in Japan (7-Elevens or Lawsons) are also great places for cheap snacks. Rice balls, deep fried snacks, bakery goods for around 100 yen ($1), or full readymade meals for a couple hundred yens are easy places to fill up and they are open 24 hours. We also met lots of travelers who made full meals out of ingredients bought from the 100 yen stores which can be found in every city. Admission fees can really add up to your budget and it is always something we take into consideration while planning our day. 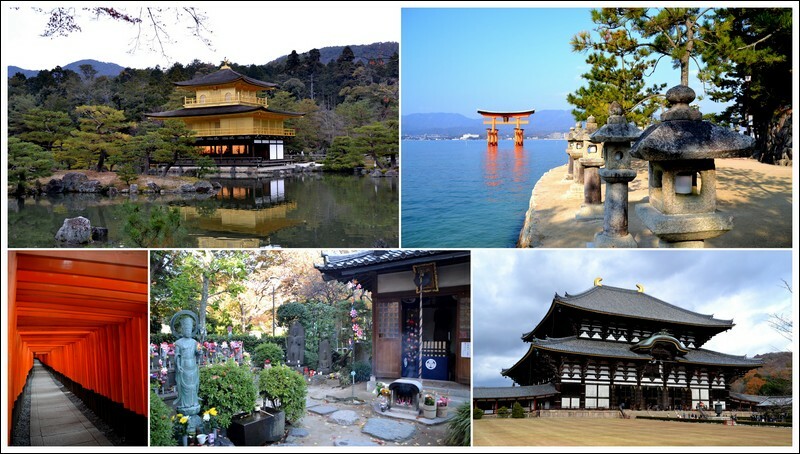 Luckily lots of temples, palaces and parks in Japan are free except when you really want to visit inside these places, so you can usually enjoy the beautiful surroundings or complexes without paying the fees. Palace and temple admissions are usually around 400 – 600 yen ($4-6). Japanese cities are fun to walk around without having to visit every sight. Getting lost in the backstreets is the best way to get to know a city and it is free. In some cities such as Nagasaki, non Japanese visitors receives a booklet (ask your guesthouse) which provides great discounts to the city’s sights and museums. Nagasaki and Hiroshima should not be missed with their interesting and moving museums and peace parks. 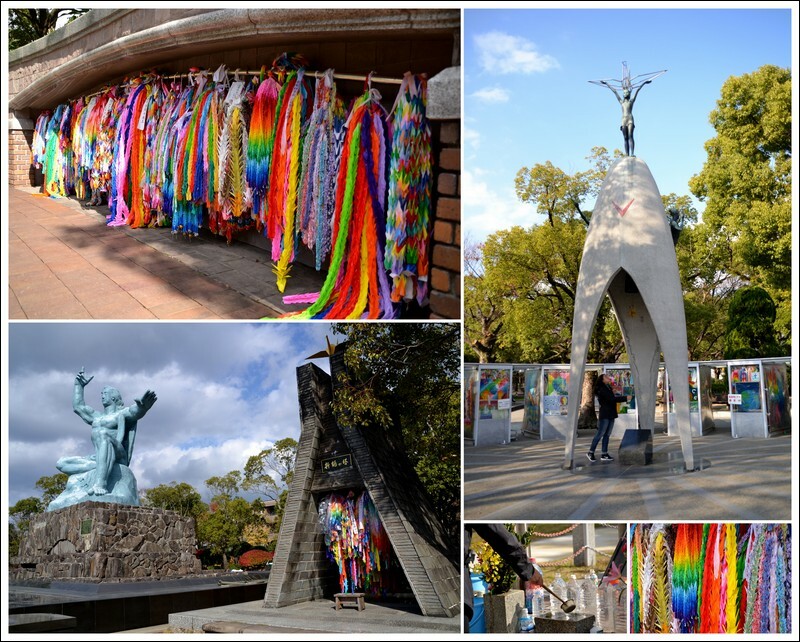 Museums are only 50 – 100 yen ($0.50-$1) and the peace parks are free to wander. This is a must for anyone interested in one of the world’s most shocking historical events. Visiting the Japanese countryside is another great way to see a part of Japan other than the famous cities. 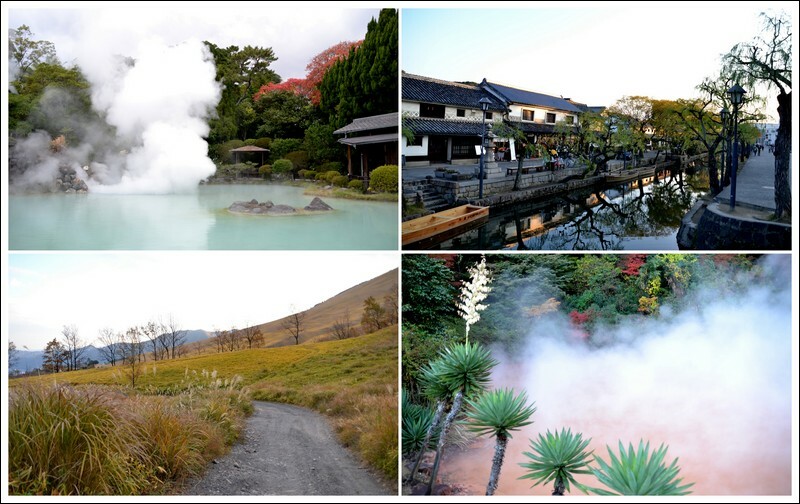 Hiking around the countryside and visiting onsens (hot springs) are a great way to relax and mingle amongst the locals as this is a popular way to spend time off in Japan. Whilst we were in Beppu (a resort town filled with hot springs), we chose to visit some hells (hot springs which you cannot bathe in) in combination to some onsens (hot springs you can bathe in). The hells costs 400 yen ($4) per location but you can also purchase combination tickets. 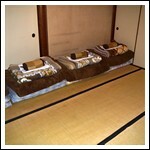 As for the onsens, they vary from 100 yen ($1) to over 1,000 yen ($10). Japan is so much more than only cities and neon, step out of the cities and enjoy tranquil Japan. Japan is such a beautiful country which has something for everyone, go and explore!